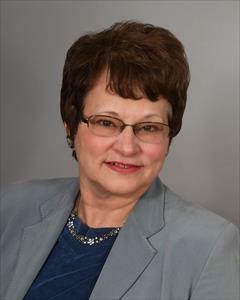 Kathren Jaeger aka “Kathy” has been a REALTOR® for 20 years. I started in Canaan Connecticut and worked there for 7 years both in Connecticut and Massachusetts. We moved back to Rensselaer County New York and became agents in New York the summer of 2002, joining with Prudential Manor Homes in 2009, which changed to Berkshire Hathaway HomeServices Blake Realtors in 2015. I have many other projects that keep me busy besides Real Estate. I love keeping a beautiful home, gardening and canning, being with my grandchildren, reading and yoga. I am a member of the Berlin Book Club and active in our church, American Legion, Republican Party, New York State Christmas Tree Association, and Rennselaer County Draft Animal Association. Besides enjoying helping people buy or sell property and working with my husband, I enjoy working with the Berkshire Hathaway HomeServices Blake Realtors team. My husband and I will be working in Rensselaer, Columbia and Washington counties and covering along the Massachusetts border when the opportunity arises.